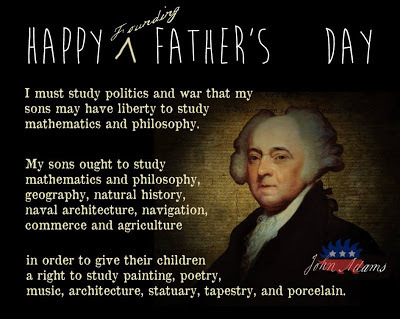 Nuking Politics: Happy (Founding) Father's Day!! You know what? I'm the luckiest lady around. I get to write at a blog with some of the funniest, most intelligent, SWEET men I've ever known. I laugh and learn stuff and tease and get teased all the time. :) I especially love the way you care about our great country and defending our liberties. I really love you guys. 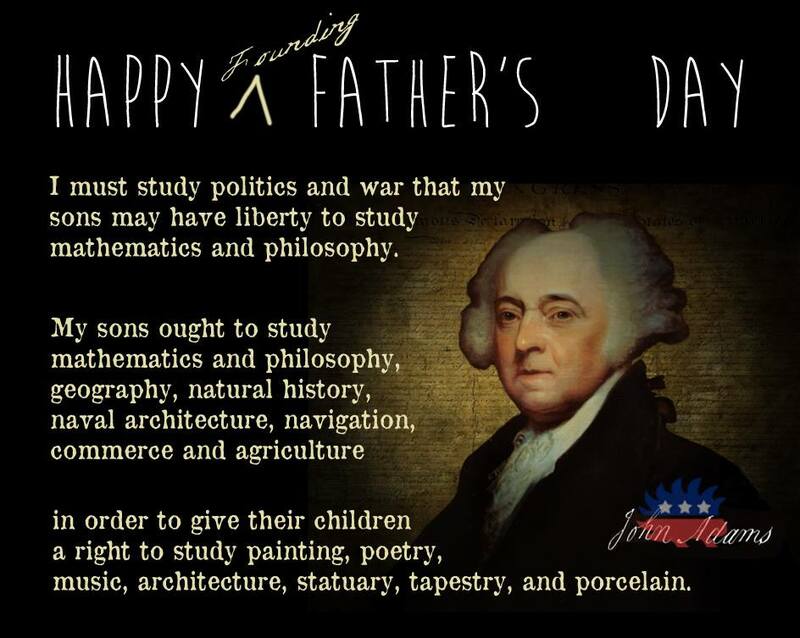 Like the Founding Fathers, you guys choose to spend time fighting tyranny...or at least ridiculing it :) You recognize that words are powerful, and choose to use them to educate, entertain and enlarge our minds. I believe your choice to do so will affect your children - - and mine. I am so thankful for fathers like you. A special "Happy Father's Day" to the Father of Nuking Politics: Keln. He sacrificed untold hours creating and scheming ideas for this wonderful blog. He takes care of all the technical stuff I don't understand...the finances...and he keeps the rest of us in line (and with walkingdead and Lactose around, that's a full time job! :) I know I'm not exactly the kind of co-blogger he envisioned, but I'm so thankful he gave me a chance. Because of him, I get to work with awesome fathers like him, walkingdead, Hunter, Lactose, Arik, Les, Springeraz, and Harvey. I think your baby, Nuking Politics, is a very good thing. Thanks, Keln. Thank you! It's nice to have a Snow White around to keep us dwarves in line!